Perfect cookies for Christmas time. 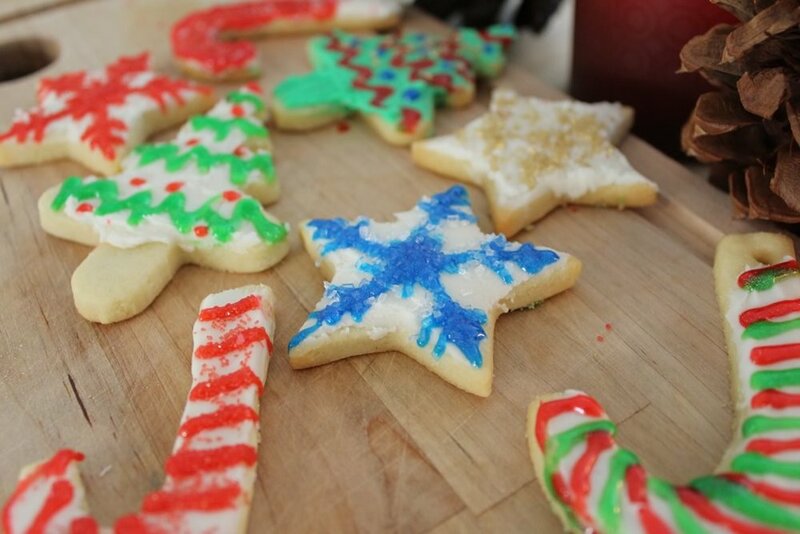 Make these easy decorated cookies with the children as helpers and hang them on the tree. Start by making the cookie dough as this needs time to chill. Using a food processor blitz all the ingredients together until big lumps start forming. Bring together with your hands into a ball. Wrap in cling film and chill in the fridge for 1 hour. If you don’t have a food processor you can use an electric whisk. Cut dough into half and place the other half back in the fridge while you roll out the first lot. Place carefully on a non stick baking tray Bake in the oven for 7 – 8 minutes. Leave to cool on the trays for 2 minutes then you can transfer them onto a wire rack to cool. Once all the biscuits have cooled you can ice and decorate them. I normally use the food processor for this, but you can use an electric whisk or beat by hand. Whisk 1/3 of the icing sugar with the soft butter and vanilla until blended and smooth. Add the remaining icing sugar bit by bit and the water until it has all been used up. The consistency should be thick but spreadable. You can always add an extra teaspoon of water if it’s too thick or goes hard. You can separate and add food coloring to the icing sugar as you wish. Have lot's of fun decorating the cookies with the kids and you can go to town on the sprinkles and sparkly edible decorations.